The Honey Stitch Cowl knitting pattern is ready for your hot little hands on the Canadian Living website! I love this cowl because it’s so timeless and versatile (if I do say so myself!). It would look equally flattering on a twenty-something as it would on a fifty-something. It adds refinement to a denim work shirt and, thrown over a cashmere sweater, adds bold shapes and textures. I’ve knit up the Honey Stitch Cowl using four balls of KPC Yarns Novomerino. Worked on 7mm needles and chunky yarn, this cowl comes together nice and quick. 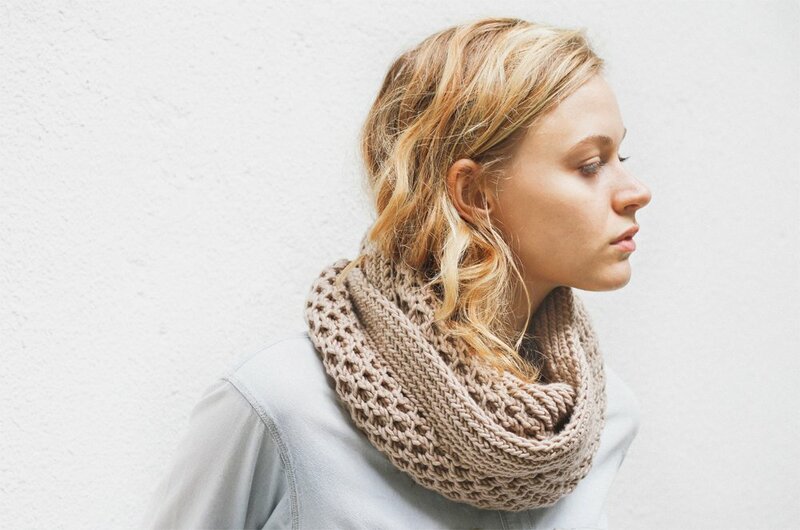 The Honey Stitch Cowl: a pretty honey stitch pattern bracketed by textured rib. The central panel is made up of honey stitch cables – BUT before you freak out and become overwhelmed with the idea of cabling, and cabling that many little twists, let me assure you that it’s not that hard. 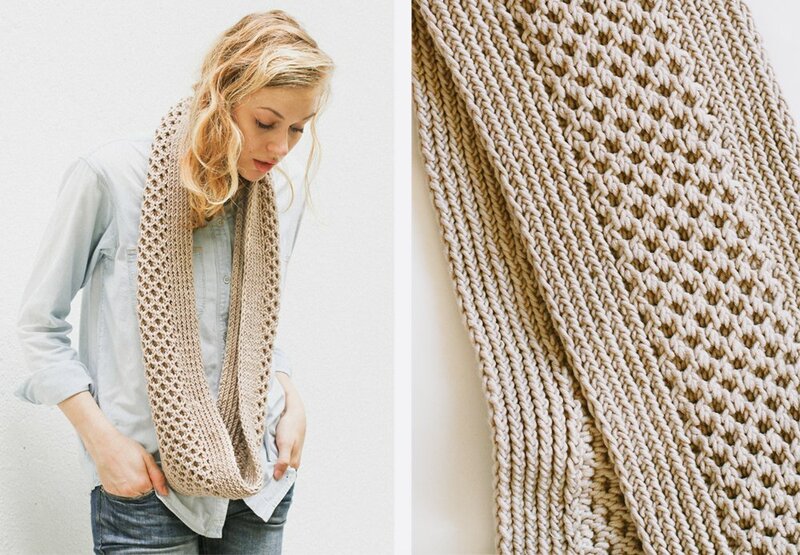 And get this: you can knit this entire cowl without a cable needle. You read that right. No fiddling with a tiny cable needle required! Don’t believe me? Watch the video tutorial to see that you don’t need – nay! That you never need a cable needle – to make a cable. Check out the free cowl pattern, which comes with a tutorial video, and read about my transformation from a bratty, Lip Smacker-obsessed teen into the obsessive knitter I am today! 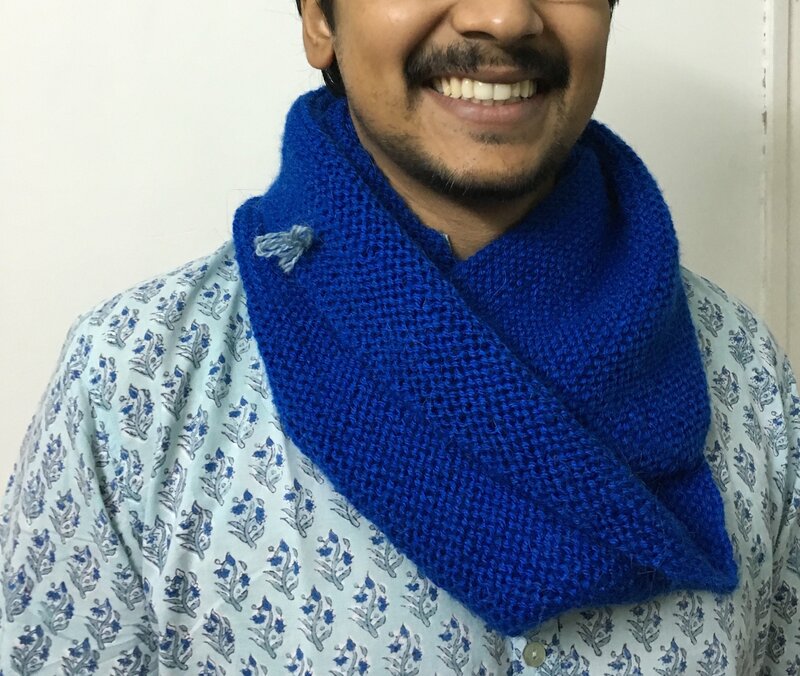 Seed Stitch Scarf and Cowl Pattern – Customised for Any Yarn! 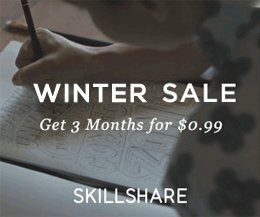 Skillshare Knitting Courses are Live! 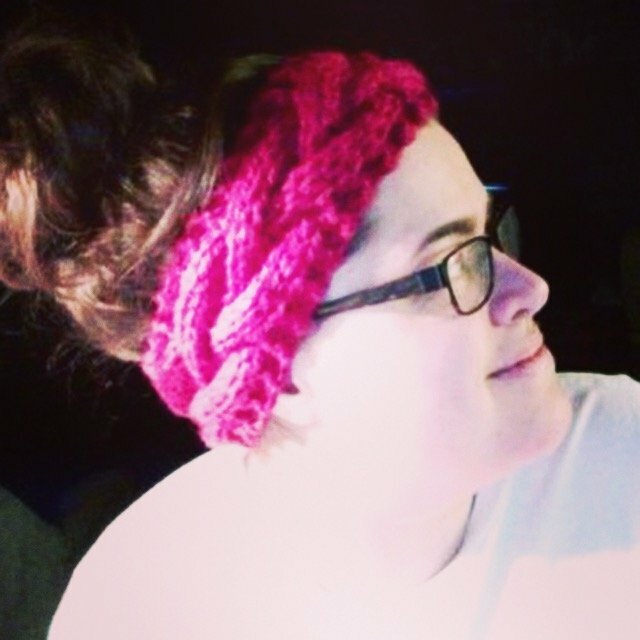 The Stone and Arrow Free Knitting Pattern Stashbust and Knit the Braided Headband! Can’t wait to make this! In the written instructions it says Row 1 slip first stitch purl wise. In the video it shows you slipping that first stitch knit wise. Does it make much of a difference, hope this isn’t a silly question! Hi Canada Holly, You’re right! Ack! The first stitch of Row 1 should be slipped purlwise. It does matter in which direction you slip. The rule of thumb is: slip purl stitches purlwise and knit stitches knitwise. You’ll get a nice even selvedge that looks like a chain of knit stitches. If you mix up the slipping (slipping knitwise when you should be slipping purlwise and vice versa), your selvedge won’t look neat and tidy with a chain of knit stitches. So, please ignore my erroneous slipping of Row 1 in the video and follow along with the pattern! You are absolutely right – I’m a 50 something and I can’t wait to make and wear this! Yay! I’m so glad you like the cowl! 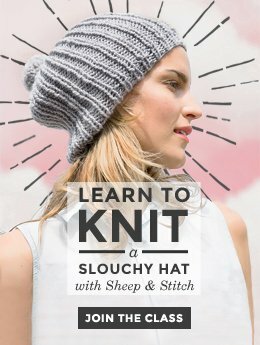 where can I buy KPC yarn? or can you give an alternative yarn available to me. Unfortunately, as they’re a new Hong Kong-based company, they’re only stocked in Hong Kong for now. However, there are a number of other yarn options. You can look for chunky weight yarn in order to get a similar gauge. I just did a search on yarn.com and found that Berroco Vintage Chunky and Debbie Bliss Rialto Chunky are very similar to the KPC chunky in gauge. They come in pretty colorways. Definitely look into those! Alternatively, you can head to a local yarn store and ask an associate to help you find a yarn with a similar gauge. I looked online to order the kPc novo merino yarn . The price was $140 for 1 ball which would make the cost of the cowl $560. Hey Linda! I should have clarified that KPC is a Hong Kong based company, so their website lists their yarn in Hong Kong dollars. The exchange rate makes each ball about $18 USD. Not cheap, but it sure is nice, smooth yarn! The good news? Your video of the provisional cast on has made me understand how to do it. The bad news? This has multiplied the number of projects I want to do, this cowl included. that picture can be deleted, I thought it was going to be my user picture. As can this reply. Hey Christianne! What an awesome photo! I love your headband! If you’d like, I can delete it, but I think it’s just faaantastic. As for the cowl, I’m glad it’s on your to-do list! 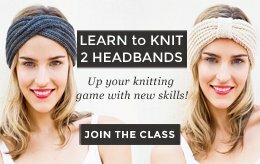 It’s really fun, and once you get the hang of it, it’s great knitting for tv-watching or podcast-listening or what have you. It’s great! Hi Zahra, it took about three weeks of knitting on and off to complete the cowl. As for the width, it could be that the bulky yarn you’re using is a bit thicker than the yarn used in the original pattern. Basically, the gauge is a bit off. 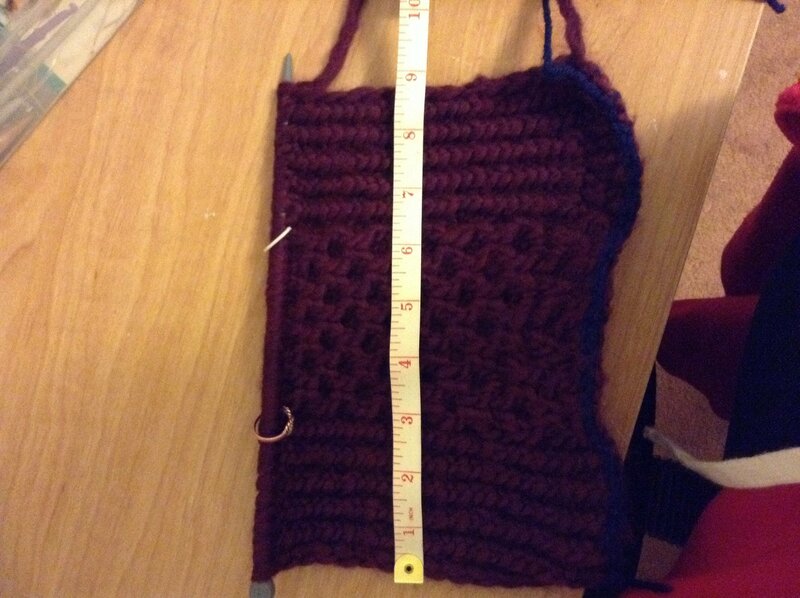 However, since this is a cowl, the width doesn’t *really* matter in the way that measurements matter in, say, a sweater. If you’re okay with the width, then carry on! Lovely tutorial, as expected 🙂 Although I have two questions, How does the pattern change if I wish to make it in the round using circular needles? And secondly, in that case, can I use a long tail cast on? Please let me know. Also, attaching a picture of my fiance wearing a cushy cowl. My first knitting project, thanks to your tutorial! So for the cowl, if you knit it in the round, the pattern will change quite a bit. It’s difficult to duplicate what rib stitch looks like when it lays horizontally (which is what it looks like when knit flat) when knitting in the round. You can certainly try knitting a 1×1 twisted rib for a couple rounds and then knitting the cabled pattern for a few inches and then finishing it off with a couple rounds of 1×1 rib. Again, the overall look will be different than the original pattern, but that’s one way to interpret the pattern for knitting in the round. Then, you can start knitting! A few words about the number of cast on stitches: make sure to cast on a multiple of 4 sts to ensure that the honey stitch cables can fit evenly into the cowl. One last thing: the twisted rib stitch might pull in a little bit. Don’t be alarmed. You can always block this out when you’re done. Thanks a ton 🙂 Will make a gauge swatch soon enough. This helped a lot; I understand it might not look the same but maybe ill come up with something new! Beautiful pattern ❤ Going to attempt to knit this one for a Christmas gift. Thank you. ?